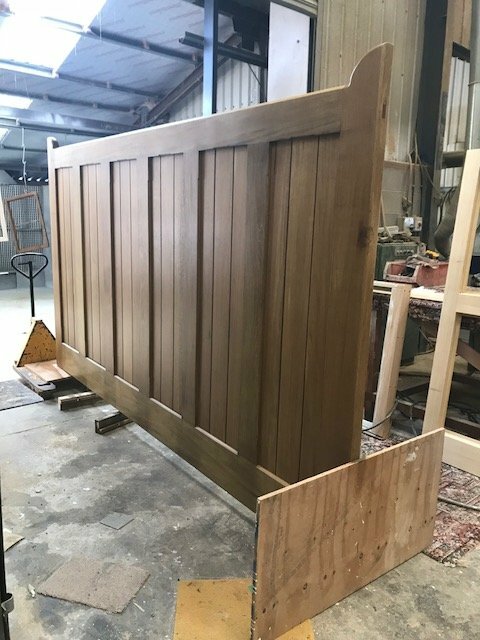 At Lymewood Architectural Joinery we specialise in constructing wooden entrance gates, boarded gates, field gates and gates for gardens, driveways and courtyards. 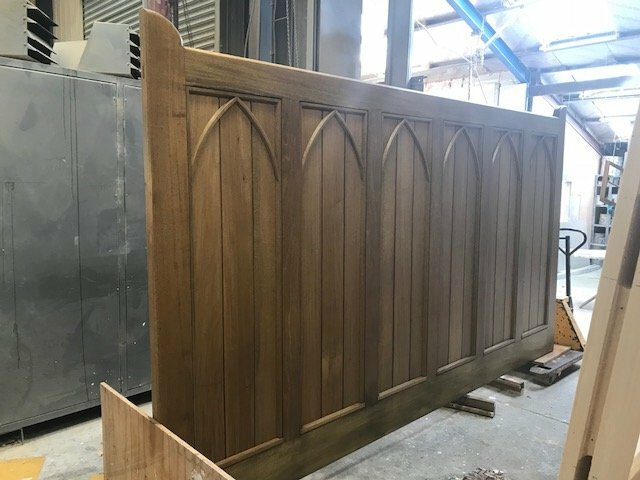 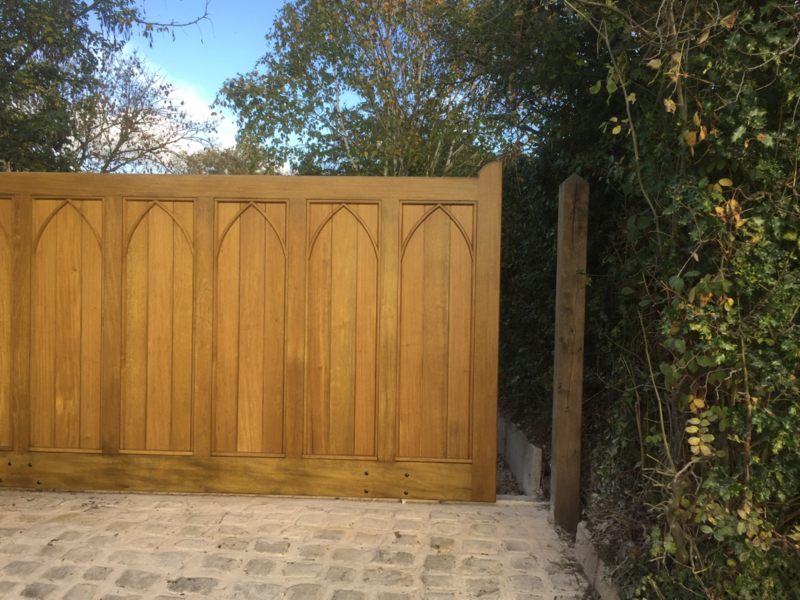 All our wooden gates, including easy-to-use automatic gates, are carefully manufactured in our workshop using the best timber on the market including Iroko. 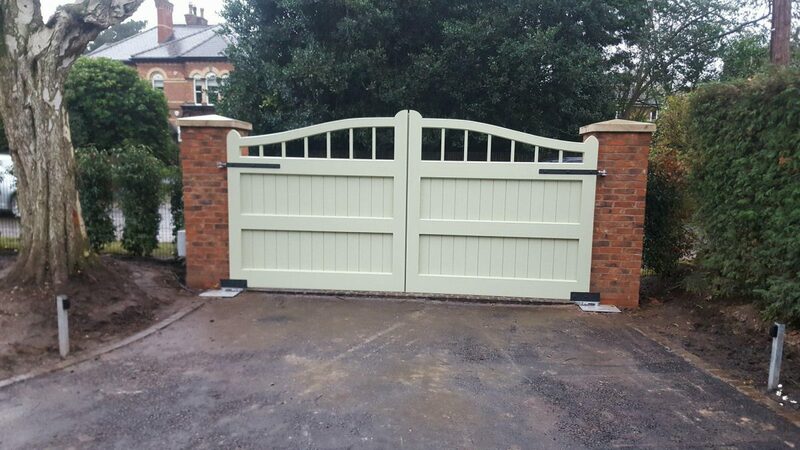 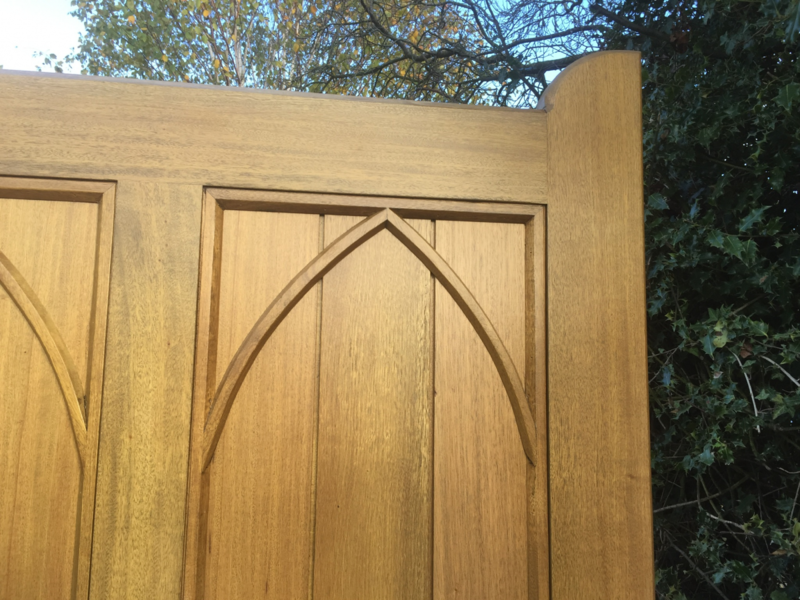 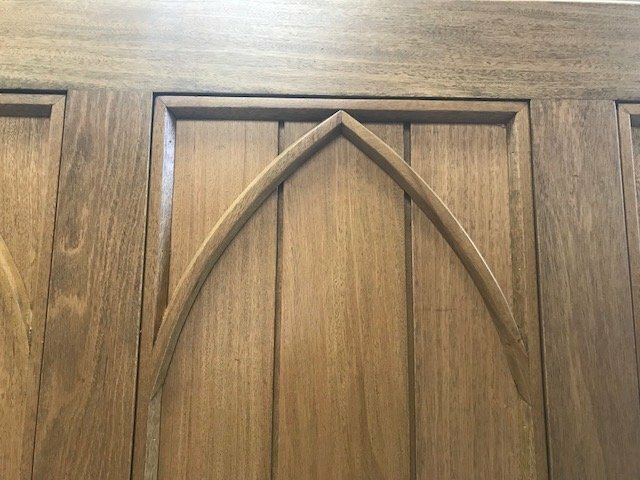 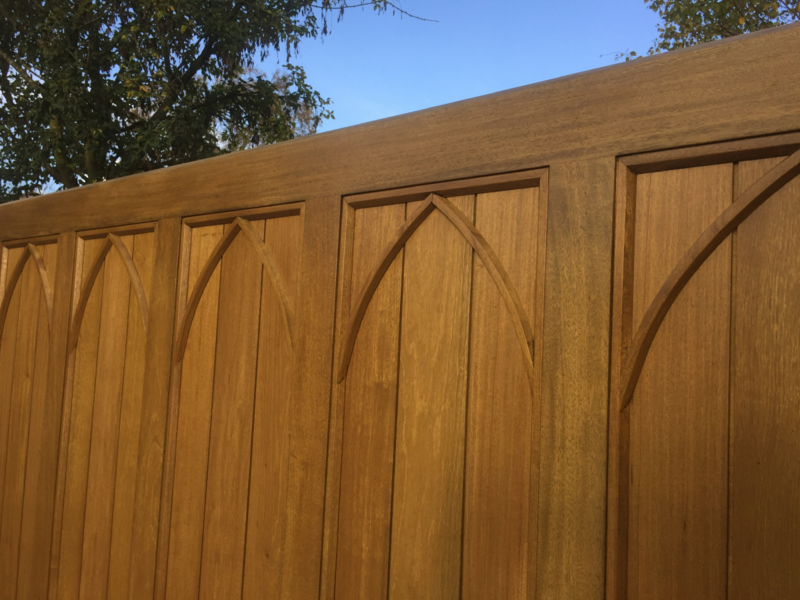 We use high-quality fittings to ensure strength and integrity to the gate design and a variety of finishes are available to preserve the timber and to blend in with the style of your property. 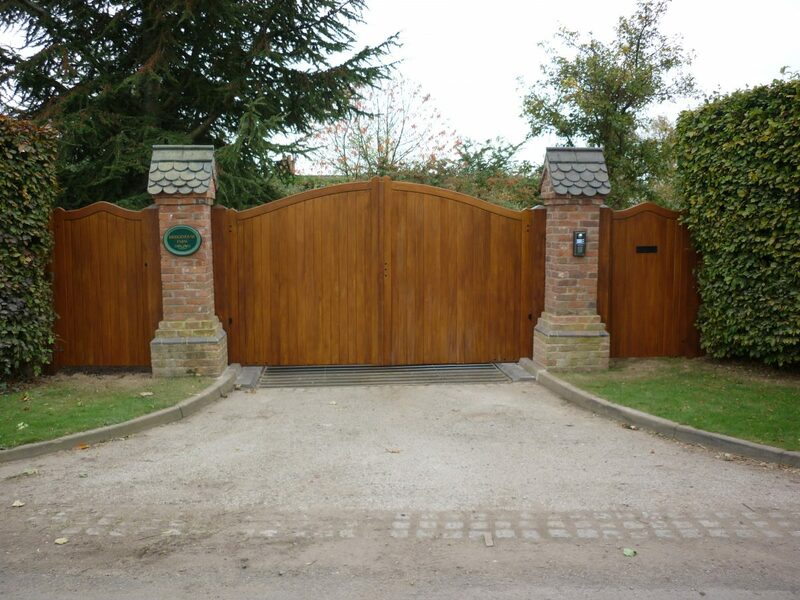 We are happy to discuss designs and measure up in order to create a bespoke timber gate. 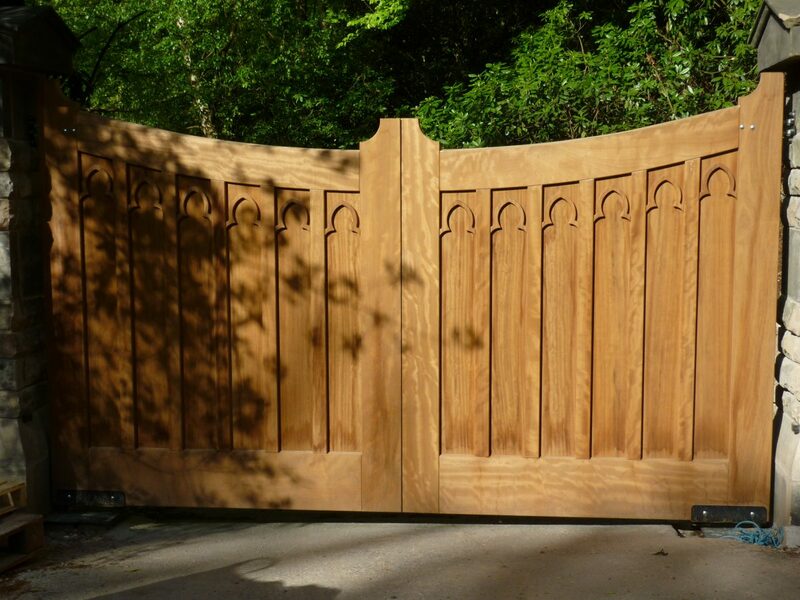 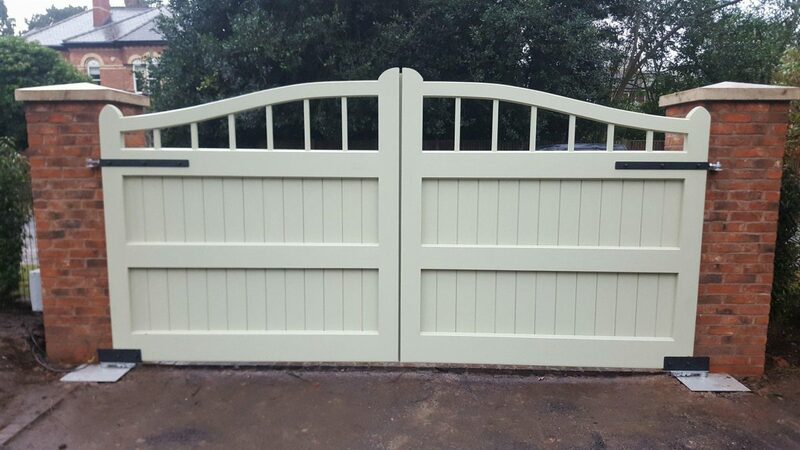 Popular gate designs manufactured by Lymewood are arched gates, flat tops gates, five bar gates along with bespoke designs. 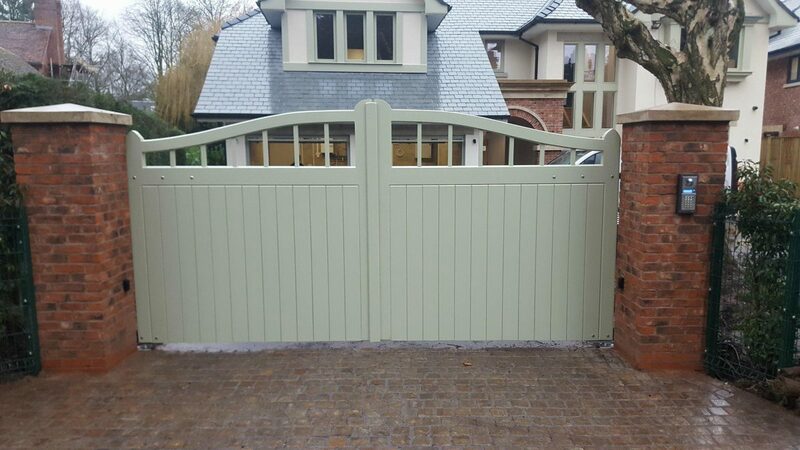 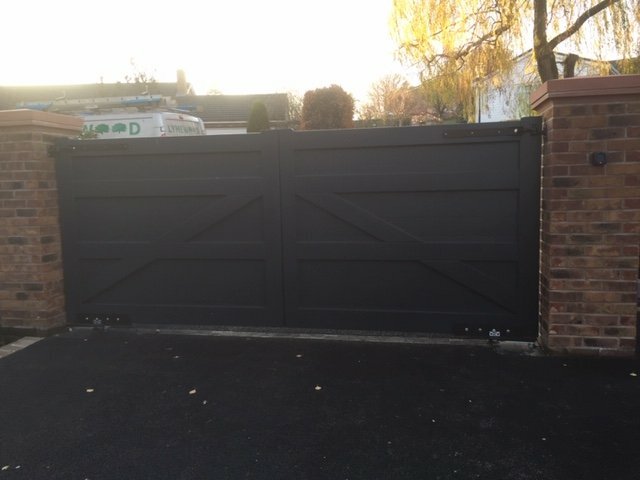 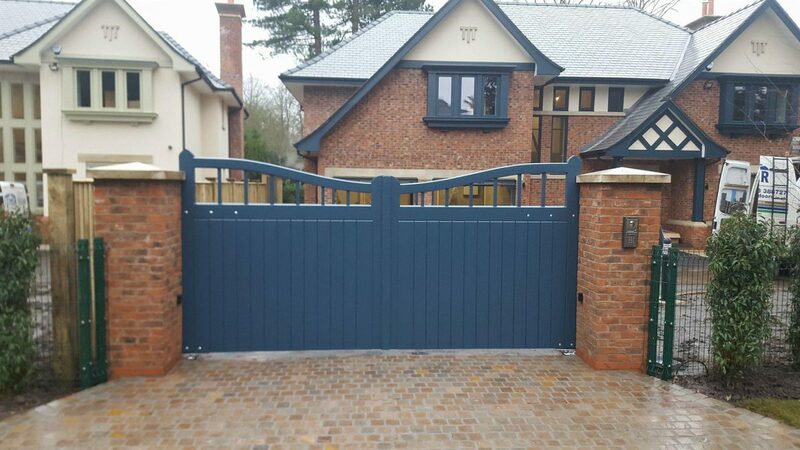 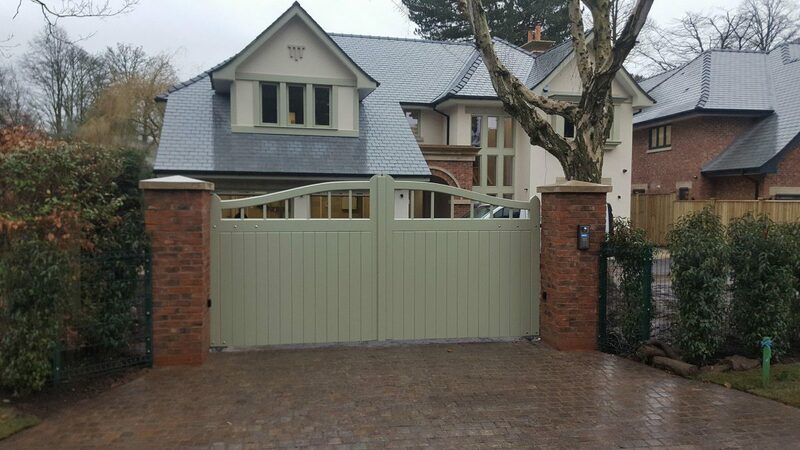 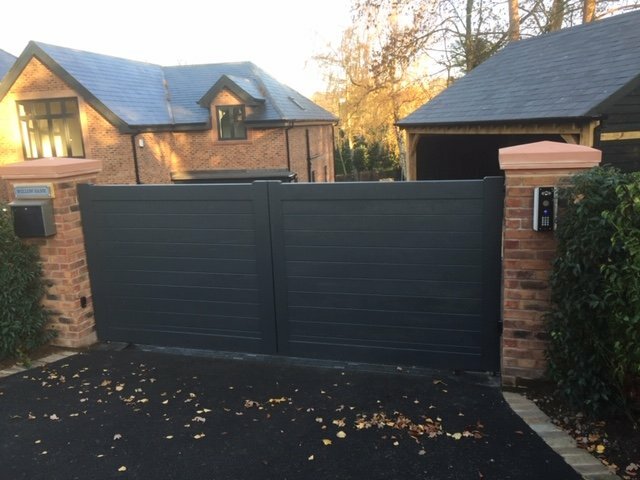 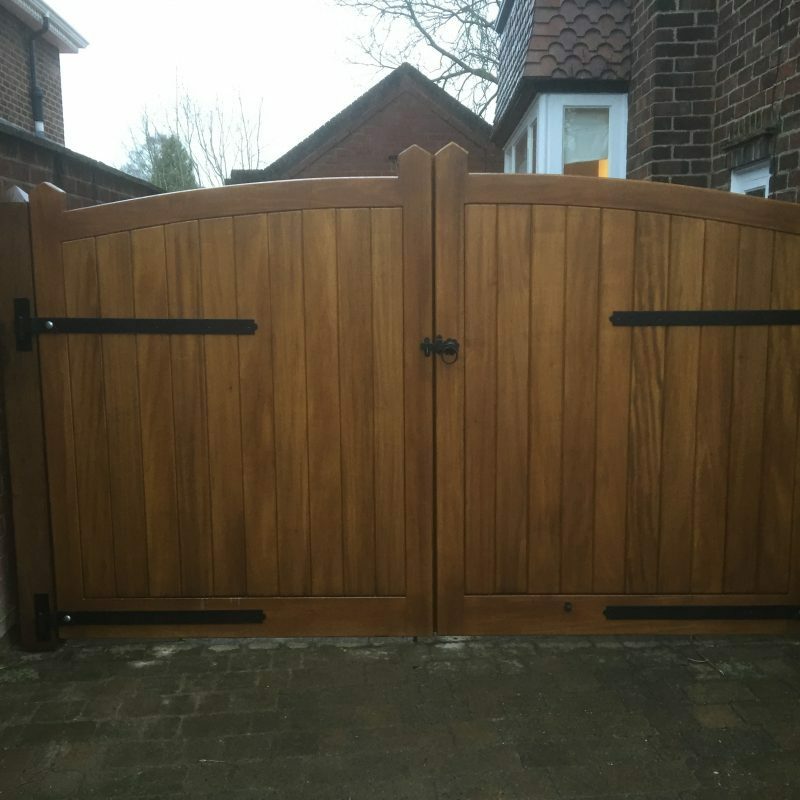 Lymewood Architectural can also ensure that the timber gates manufactured are fit for purpose to allow automation, access control, CCTV system and intercoms to be applied.